Need help choosing a card? Three convenient ways to invest: online, by phone, or in branch. You never know when the unexpected may happen. A cheque you've received may take a little longer than you anticipated to clear through your account. An authorized payment could fall due a day or two before you have the funds to cover it. For these reasons and more, RBC Royal Bank® offers you the peace-of-mind of overdraft protection as a feature of your bank account. Think of it as protection against the embarrassment of having your cheques or authorized payments returned or a point-of-sale transaction declined. It's also an easy way to ensure that you maintain your good credit rating. Subject to credit approval, overdraft protection provides between $500 and $5000 of protection for most bank accounts, and up to $10,000 of protection for RBC VIP Banking® customers. Your overdraft protection comes into effect automatically-up to your limit-whenever your account is overdrawn. Repaying it is easy too. As soon as you make a deposit(5) to your account, it will automatically be applied against your overdrawn balance. Depending on your banking account, the monthly fee for overdraft protection may be waived. Please refer to the chart below for details. Have a question or comment about one of our banking or savings accounts? 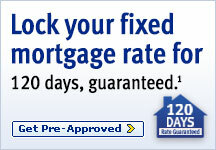 Talk to a Royal Direct specialist or contact your local RBC Royal Bank branch.